We have all seen the classic business sales charts in the movies and on television, but these types of things really do exist. Although they may just seem to be the work of fiction, there are businesses all across the country that are using these charts in order to show how sales have been doing in their business. A sales chart report is great because it allows the presenter to show those attending the meeting something that can be difficult to explain any other way. 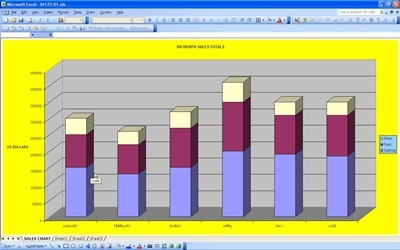 Thus, the sales chart is one of the better inventions that has come along for showing this type of information.